44008 Corporal Charles Henry Lowson, 7th Battalion, the Lincolnshire Regiment died of wounds 15 August 1918 and is buried at Daours Communal Cemetery extension, France  and commemorated on the St. Helen’s Colliery Memorial Cottages and West Auckland War Memorial. 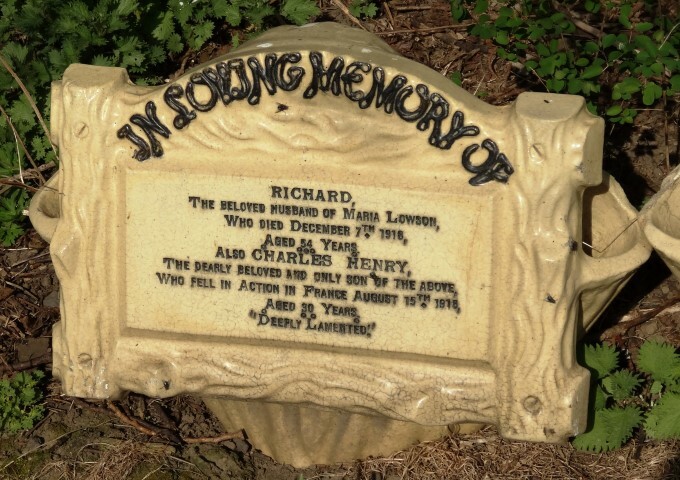 He was 30 years old, son of Richard and Maria Lowson. In July 1915, the Division landed in France and spent the early period holding the front lines in the southern sector of the Ypres Salient. 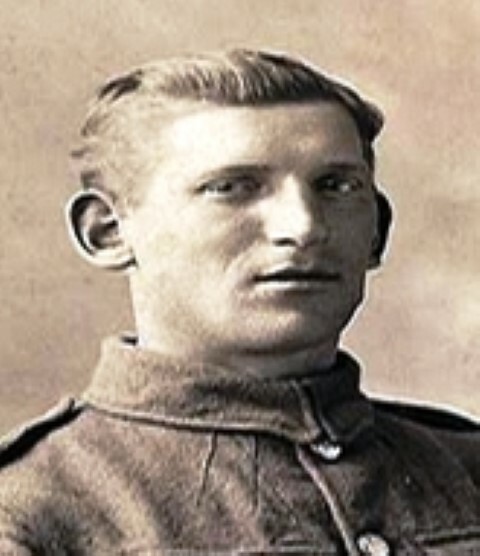 Corporal Lowson entered France 7 October 1915. The Division saw action at the Bluff, the Battle of the Somme capturing Fricourt after suffering heavy losses, the Arras Offensive, the Third Battle of Ypres (Passchendeale) and in 1918 the Battle of St. Quentin, the First Battle of Bapaume, the Battle of Amiens before Corporal C.H. Lowson met his death and the Battle of Albert following it. At the Battle of Amiens, the Division operated alongside the Australian Corps as part of the British Fourth Army under Henry Rawlinson. The Battle of Amiens was described by First Quartermaster-General Ludendorff as, “The Black Day of the German Army.” The material losses and ground lost would not seem to justify such a gloomy summary but he was referring to the mass surrender of German troops to Allied forces. It was the turning point of the war – the beginning of the end. The Battalion War Diary has not been researched therefore the exact circumstances of his death remain unknown. 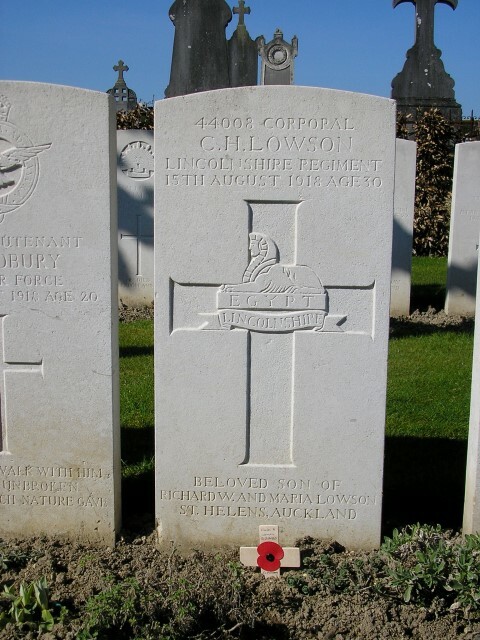 However, since Corporal C. H. Lowson died 15 August 1918 after the Battle of Amiens 8 to 11 August and before the next action, the Battle of Albert 21 to 23 August, it is assumed that he was wounded during the defence of Amiens and died in hospital. There were Casualty Clearing Stations in the area. One other soldier of the 7/Lincolns died of wounds on the same day, 38017 Private J.H. Tomlinson, a Derbyshire man.